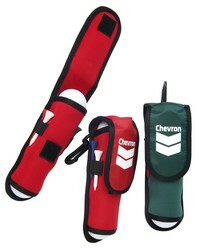 NEOPRENE GOLF BALL HOLDER WITH DIVOT REPAIR TOOL, BALL MARKER AND FOUR TEES. HOLDS UP TO FOUR GOLF BALLS. CONVENIENTLY YOU CAN CLIP TO YOUR GOLF BAG OF STORE IN YOUR GOLF BAG.